We believe a thoroughly researched and systematic investment process rooted in common sense will outperform over time. Our research shows that markets and securities reward certain factors and punish others. To capitalize on these factors, we employ a market exposure model and a security selection model based on fundamental rationales. These rationales are confirmed by thorough quantitative analysis, then systematically implemented and complemented with extensive risk controls. This proven and systematic investment process relies on portfolio managers to validate the model outputs daily and traders to implement the strategy efficiently. To maintain, refine and enhance our competitive edge, we remain committed to a continuous and comprehensive research effort. NorthCoast Asset Management was formed in 1988 by Paul Dean, Richard Semels, and Dr. Harry Suber – each bringing more than 20 years of experience to the table. An opportunity existed for a firm which recognized that money management was as much about avoiding punishing losses as it was with booking terrific gains. At the same time, the firm understood the value of quantitative research and rules-based management. Almost thirty years later, the same principles hold. On Monday, October 19, 1987, stock markets around the world plummeted, shedding mass amounts of market value in a very short time. While the economy recovered, the market event brought investors into a new world of computerized trading, overvaluation, illiquidity, and market psychology. In part because of the market crash in 1987, an opportunity existed for a firm which recognized that money management was as much about avoiding punishing losses as it was with booking terrific gains. At the same time, the firm understood the value of quantitative research and rules-based management. NorthCoast Asset Management opened its doors, led by by Paul Dean, Richard Semels, and Dr. Harry Suber – each bringing more than 20 years experience to the table. Asset Allocation, NorthCoast’s flagship asset allocation strategy launches, marrying the utilization of trend following signals with a market exposure overlay. The strategy delivers on its objective by delivering growth in bull market environments while preserving capital during the market declining years of 2000-2002. Dan Kraninger joins NorthCoast as President & CEO. Learn more about Dan. NorthCoast teams up with William O’Neill and the Investor’s Business Daily to become the investment arm of the CAN SLIM® Investment Program, bringing the tactical, time-tested growth strategy to individual investors. Learn more about CAN SLIM® solutions. 2008 brought on the 2nd worst recession in our nation’s history. Many growth funds suffered historic losses. In the midst of the decline, the CAN SLIM® separate account strategy was named #1 Domestic Equity SMA by Investment News for its protection and preservation of capital during the market decline in the 4th quarter of 2008. As the market was in the midst of its historic decline, stock valuations were plummeting. In contract to tactical growth style of CAN SLIM®, NorthCoast launches its long-only deep value equity strategy, Legends Value. 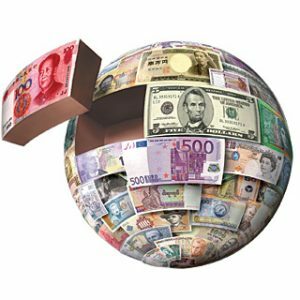 With the global economy expanding, an opportunity presented itself in the international marketplace. In 2011, NorthCoast launches CAN SLIM® International, providing investors access to global equities utilizing the time-tested investment system. Patrick Jamin joins company founder, Brent Elam, as Co-Chief Investment Officer. In Patrick’s previous role, he was a Partner at Numeric Investors directing the effort for all European Strategies and managing Numeric’s World Fundamental Statistical Arbitrage Strategy. He brings an extensive tool set in quantitative investment management and his expertise in international markets and alternative investments is a real benefit to NorthCoast offerings. iShares® by BlackRock® and NorthCoast team up to construct ETF-managed portfolios utilizing the vast universe of iShares ETFs across multiple asset classes catered to investors in any stage of life. Learn more about NorthCoast ETF solutions. NorthCoast launches Zero Beta, a liquid alternative solution designed to generate investment returns outside and not correlated to equities and fixed income. Learn more about Zero Beta. For a second consecutive year, NorthCoast is recognized as a Financial Times 300 Top Registered Investment Adviser for our history, investment standards, sustainable growth, and service to our clients. Learn more. NorthCoast has been recognized with Top Guns status by Informa Investment Solutions’ PSN manager database for the management of its separately managed account solution, Tactical Income. Read the full press release. The team at NorthCoast Asset Management works hard every day to foster a true partnership with our clients. We’ve assembled a talented group of financial professionals to provide you the advice, service and investment management you expect. Patrick Jamin joined NorthCoast Asset Management in January, 2012 as Chief Investment Officer. In his role he oversees all investment activity including portfolio management and investment research. Previously Mr. Jamin was a Partner at Numeric Investors directing the effort for all European Strategies and managing Numeric’s World Fundamental Statistical Arbitrage Strategy. Prior to that he served as a Portfolio Manager at Standard Pacific Capital and as a Senior Quantitative Analyst at AIM Investments. Patrick earned an M.B.A. from Harvard Business School with high distinction (2002), a Masters of Science in Telecommunications from Ecole Nationale Superieure des Telecommunications de Paris (1997), a diploma of “Ingenieur de l’Ecole Polytechnique” from Ecole Polytechnique in Palaiseau, France (1995). Patrick is a CFA® charterholder and a certified Financial Risk Manager (FRM). Julia Zhu joined NorthCoast Asset Management as a Senior Vice President in the Portfolio Management and Research group in 2013. Previously, Ms. Zhu worked as a Vice President at Research Affiliates, LLC, where she was responsible for quantitative research in both equity strategies (RAFI Fundamental Index strategies) and global tactical asset allocation products (All Asset Fund). Prior to that, Julia worked as an Associate in First Quadrant, LP and conducted research projects on GTAA and tactical currency allocation products. Julia earned her Master of Economics from Yale University and MBA with concentration in Finance from University of Southern California. She also holds a Bachelor’s Degree in Economics from the Institute of International Relations from Beijing, China. Julia is a CFA®charterholder and a certified Financial Risk Manager (FRM). Yaqiu Li grew up in a small beautiful town Shashi, Hubei in central China. He received his B.S degree in the Nanjing University of Information Science & Technology, China in 1999 and joined China’s national key lab of Atmospheric Science, Chinese Academy of Sciences, for climate modeling. Mr. Li later studied at Georgia Institute of Technology where he earned a M.S degree in Quantitative and Computational Finance and a M.S. degree in Statistics. He joined NorthCoast in 2006 and has been involved in research, portfolio management and developing equity and ETF investment strategies and models. Mr. Li is a CFA level III candidate. Slava Malkin joined NorthCoast in 2015 as Senior Vice President in the Portfolio Management and Research group. He received his Master’s degree in Statistics from Harvard University in 2000 and started his career at Deutsche Asset Management, conducting quantitative research on Global Tactical Asset Allocation strategies. Subsequent to that, Slava has been a portfolio manager at several prominent hedge funds, where he oversaw research and trading of various global macro strategies. Finally, Slava was responsible for a quantitative currency trading strategies at BNP Paribas Investment Partners prior to joining Northcoast. Sumanth Amarchinta joined NorthCoast as a Vice President in the Portfolio Management and Research group in 2014. Previously, Sumanth worked as a Senior Investment Analyst at Pyramis Global Advisors in the area of quantitative research and portfolio management. He was also researching stock selection models as a member of the global small cap team. Sumanth holds a M.S. in Computer Engineering from Rochester Institute of Technology and a B.S. in Electrical Engineering from the Roorkee Indian Institute of Technology. Jason Krugly joined NorthCoast as a Vice President in the Portfolio Management and Research group in December 2014. Mr. Krugly has acquired significant experience at major financial institutions such as Bank of America, Merrill Lynch, Credit Suisse, and Deutsche Bank. Jason holds a Bachelor of Science and a Master of Science in Computer Science from Polytechnic Institute of New York University, as well as a Master of Science in Financial Engineering from Baruch College.